In the Vaxis Vase Robert Foster has created a form that references a bird in flight and the opening alludes to the wingspan of the Australian Currawong. 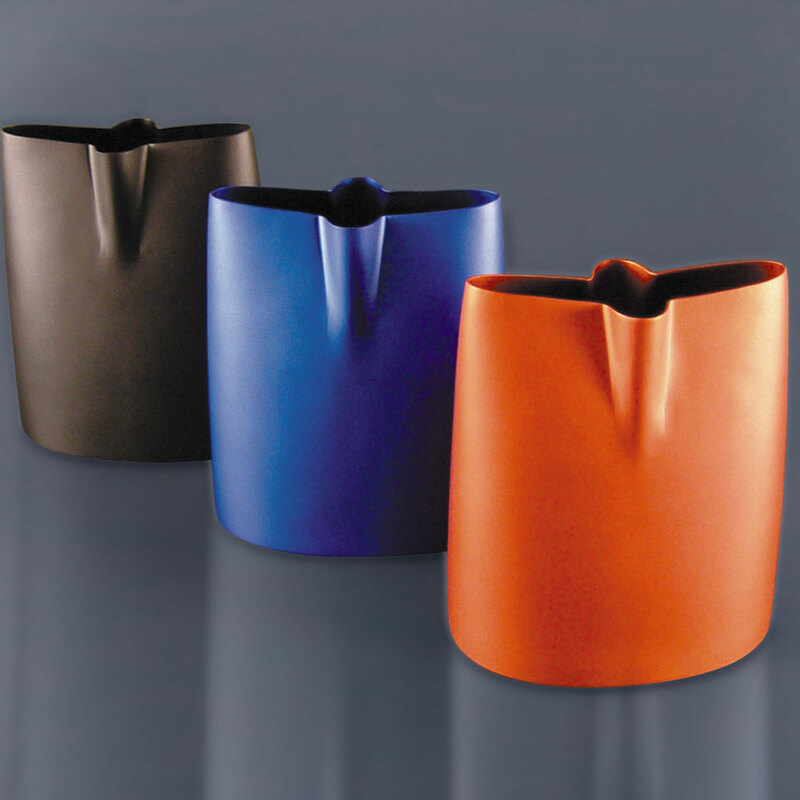 The axes of the mouth of the vase provide an organized structure suitable for a wide range of floral types and sizes offering an infinite number of display options. The minimal interruption of this streamlined vessel creates a stunning stand alone object perfect for any environment. Vaxis is available in three bold anodized colours of vibrant red, deep blue and midnight black.